Enjoy the top 3 famous quotes, sayings and quotations by Bob Altemeyer. 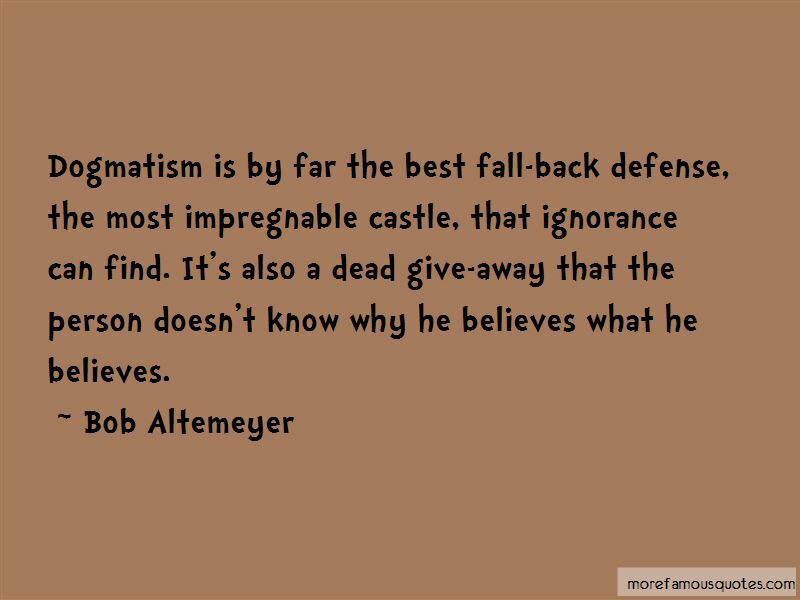 Dogmatism is by far the best fall-back defense, the most impregnable castle, that ignorance can find. It's also a dead give-away that the person doesn't know why he believes what he believes. 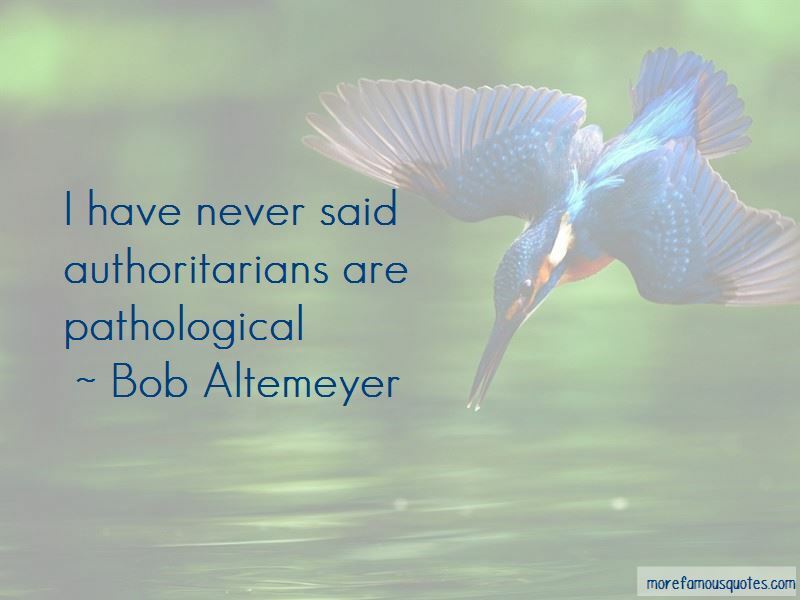 Want to see more pictures of Bob Altemeyer quotes? 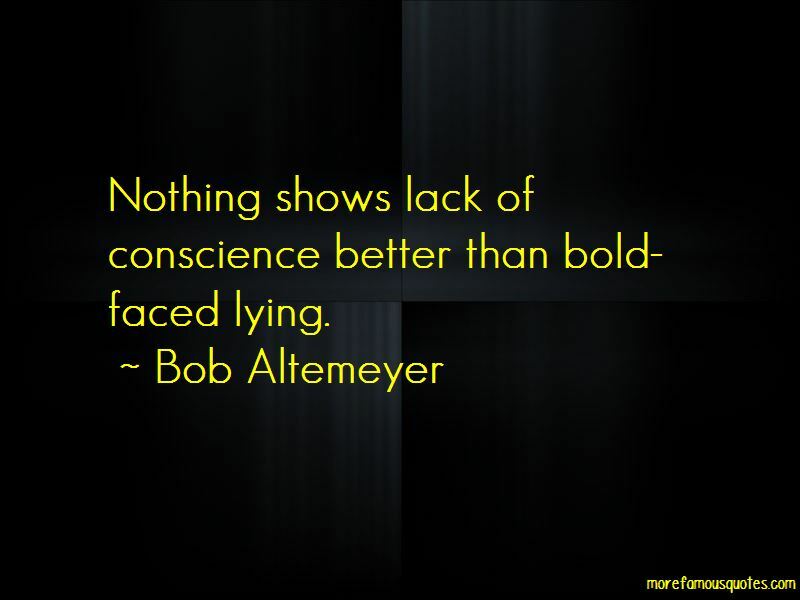 Click on image of Bob Altemeyer quotes to view full size.